Predictive maintenance solutions are gaining popularity. As the benefits of IoT and industrial IoT come to fruition, organizations equip their assets with the technology that allows them to monitor and predict when maintenance is needed. In this week’s exclusive editorial, we discuss predictive maintenance systems with AI capabilities. 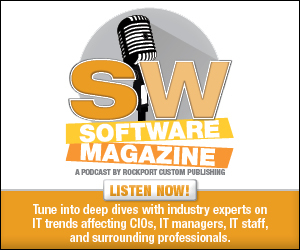 For the latest industry news, current editorials, links to our Buyers Guide and Software 500, and more, visit softwaremag.com. Follow us on Twitter and visit our website for the latest industry news. Also, check out the May digital edition.